The OSPE is a highly challenging test that puts your pharmacy knowledge, critical thinking and communication skills under magnifying glass. The exam is structured to put your mental powers to the limit under highly enforced time limit. Those who come poorly prepared find it an intimidating experience. Pharmacy prep offers the most comprehensive course in 5 weeks with class room instructions, sterile prep training, compounding skills and simulated exams. The OSPE is a highly challenging test that puts your pharmacy knowledge, critical thinking and communication skills under magnifying glass. The exam is structured to put your mental powers to the limit under highly enforced time limit. Those who come poorly prepared find it an intimidating experience. Pharmacy prep offers the most comprehensive Online Plus Home Study Course. Non Interactive Stations. At two non interactive station students are given task to check prescription error and dispensing errors. Sterile Preparation Station. The Sterile prep stations students are screened video clips of sterile prep. Compounding Station. The practical skills in compounding skills. Lecture series and a complete resourceful guide that covers key topics and high yield summaries to help students prepare the Pharmacy Technician OSPE Exam. It is concise textbook with in depth coverage of topics. The pharmacy PREP OSPE MOCKs or simulation examination ideally consists of about 12 stations for the examination of a particular cycle and each day two cycles are practiced (12 + 12 stations). The time for each station fixed 7 minutes. The students are rotated through all stations and have to move to the next station at the buzzer. We make sure smooth flow through stations so each student complete each cycle. Each station is designed to test a component of communication skills and practical problem solving according to NAPRA competence. At the end of each station students will get 2 minute feedback for the assessment of the process and to get information for future improvement in OSCE as per examination standards. Interactive Stations. Component of communication and practical problem solving skills in each interactive stations. There is objectivity in OSPE simulations the standard to check the competencies are made earlier and agreed check lists are used for marking and evaluation. OSPE is useful for any subject and the main benefit of OSPE is that both the examination process and the examinee are evaluated by giving importance to communication skills and practical skills. 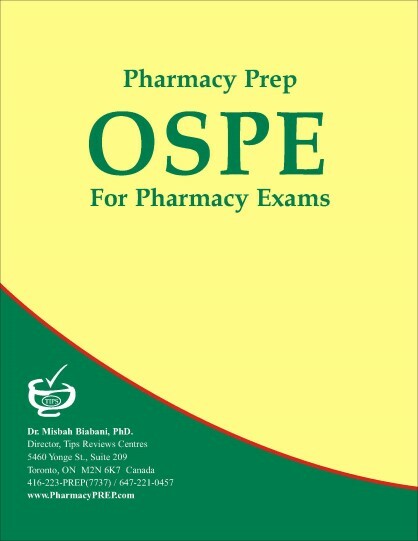 Pharmacy prep OSPE also evaluates the individual competencies.